John Browning applied for this US Patent on May 19, 1879 and was granted patent 220271 on October 7, 1879. 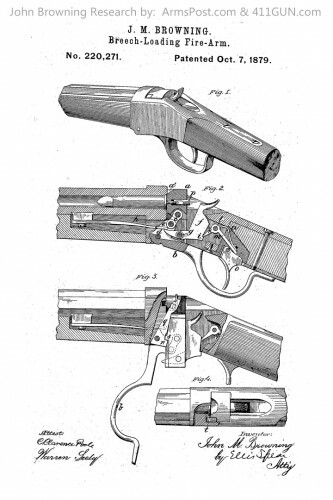 This was John Browning’s first patent. This patent became the Winchester Model 1885 single-shot rifle. It was a falling block single shot rifle and known as the High Wall and Low Wall.